We discussed the tiara's scheduled sale in a previous post, which you can read over here. 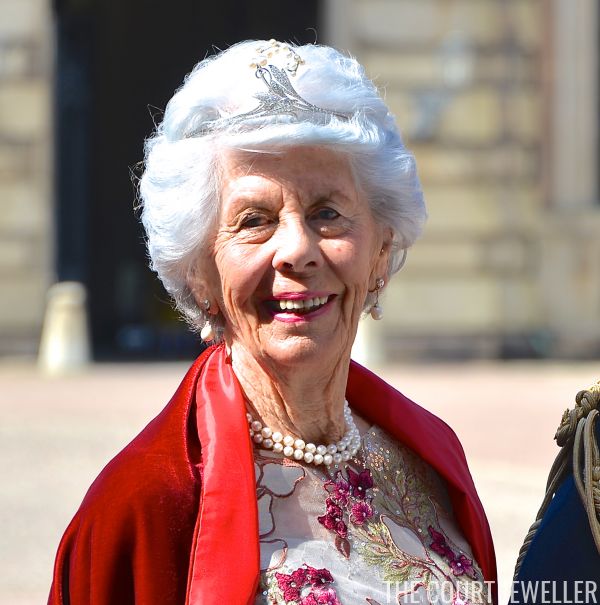 Gunnila was the second wife of Count Carl Johan Bernadotte af Wisborg, who was the uncle of King Carl XVI Gustaf of Sweden and Queen Margrethe II of Denmark. 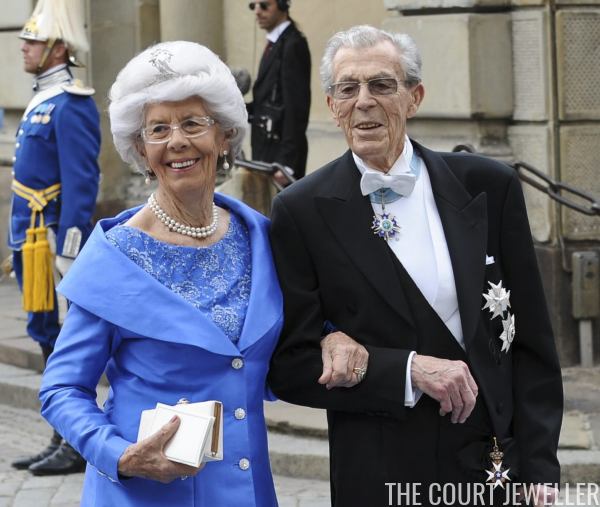 The platinum, diamond, and pearl tiara was from Gunnila's family, and it has an aristocratic Swedish history.